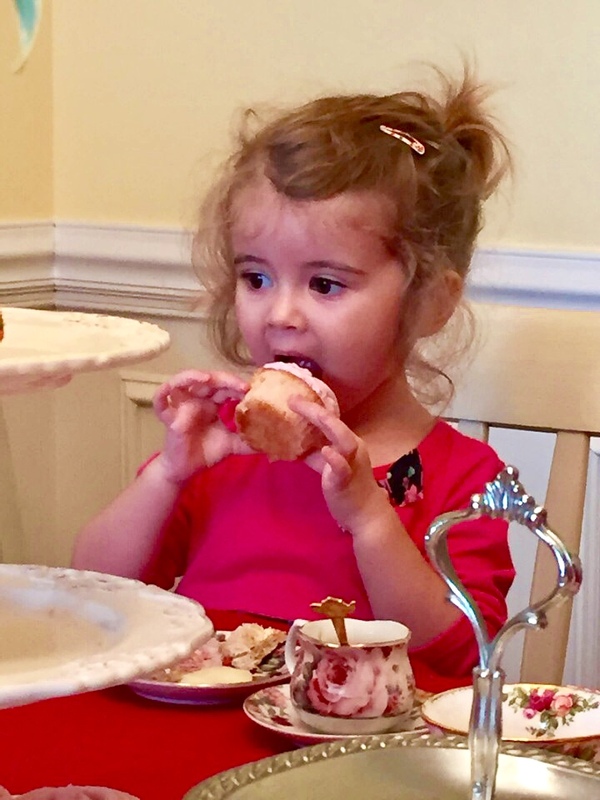 Ashley and both of her daughters each have their own china pattern that they collect. 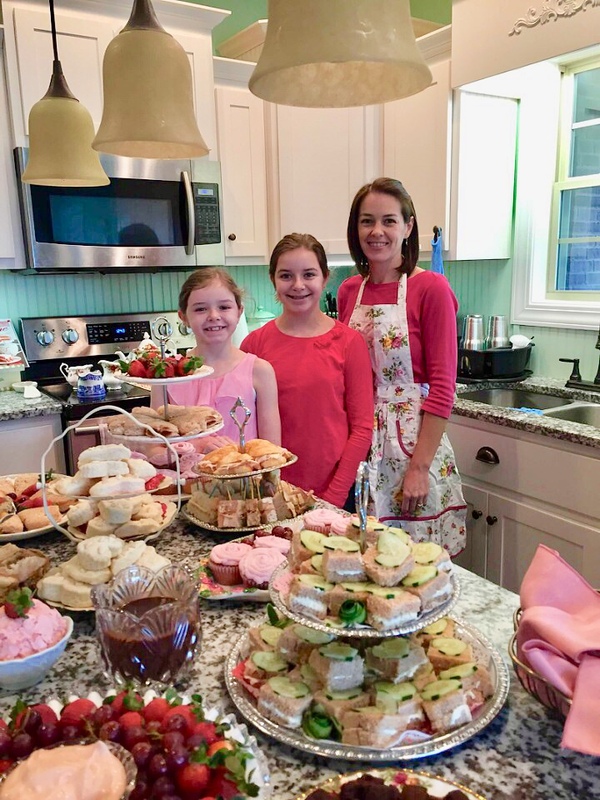 Ashley’s is Old Country Roses (Royal Albert), Ella’s is Blue Italian (Spode), and Ava’s is from the New Country Roses Pink Vintage Collection (also Royal Albert). How much do I love this idea?? So much. 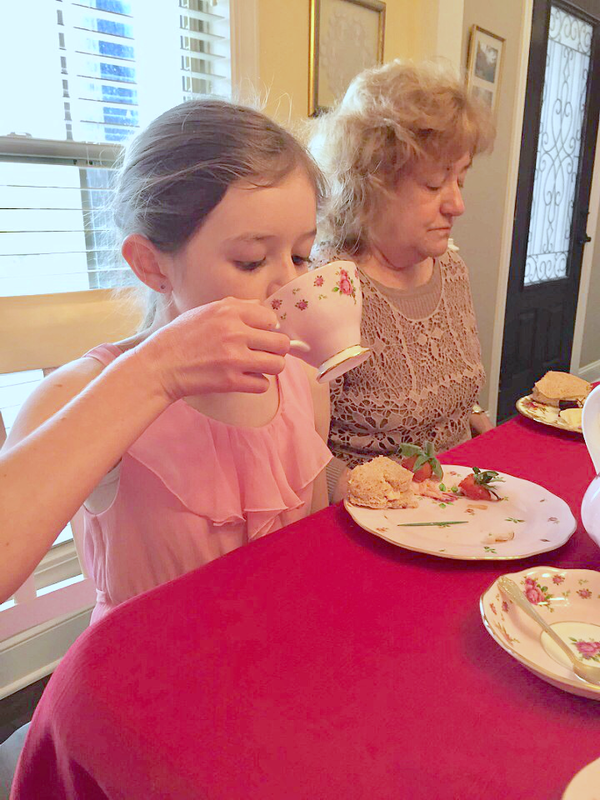 The girls learn to take care of nice china at a young age, gift-givers are able to easily add to their collection, and they are able to use their collection to bless others by hostessing parties at their house. Such sweet mother-daughter bonding time. Makes me smile! 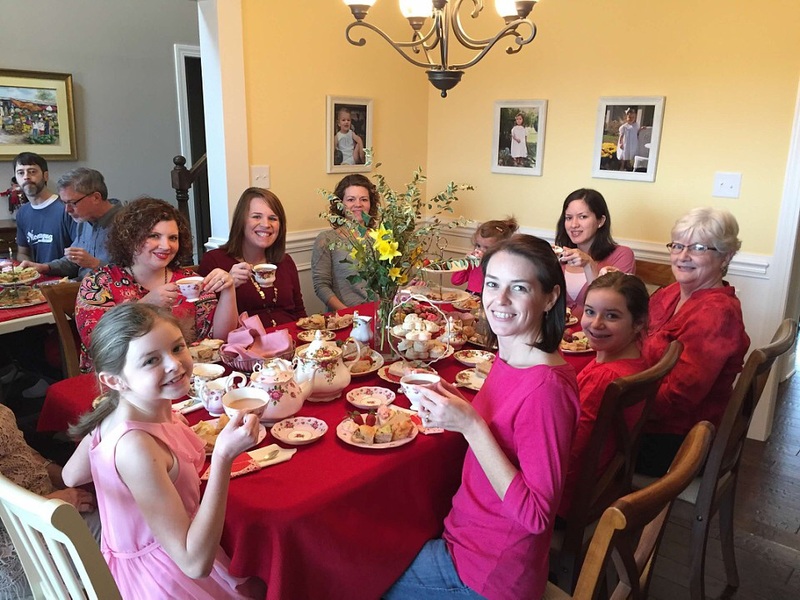 This was SUCH a delightful Valentine’s tea party and I would do it again in a heartbeat! Everything on the menu was delicious and it was just plain lovely to sit together and visit that afternoon. Even after we finished eating, we ladies especially kept pouring yet another cup of tea and lingering happily at the tea table. Even if you don’t have any of the china with pink roses (I don’t either! 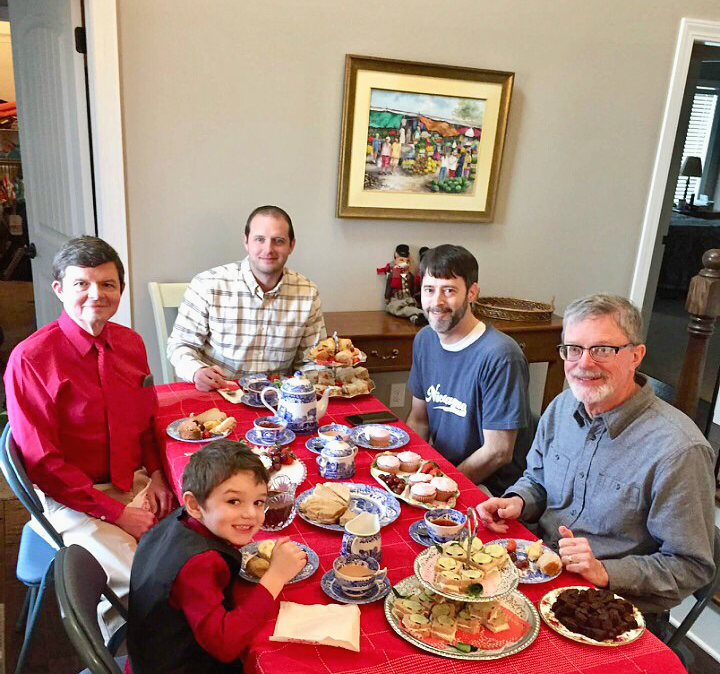 ), you could absolutely use a white teapot and teacups – or sweet little mismatched teacups. Marshalls, TJMaxx, Ross, or HomeGoods are marvelous places to source these kinds of things for great prices! Adding pops of red and pink with heart-shaped paper doilies is extremely easy! I also highly recommend a red tablecloth. 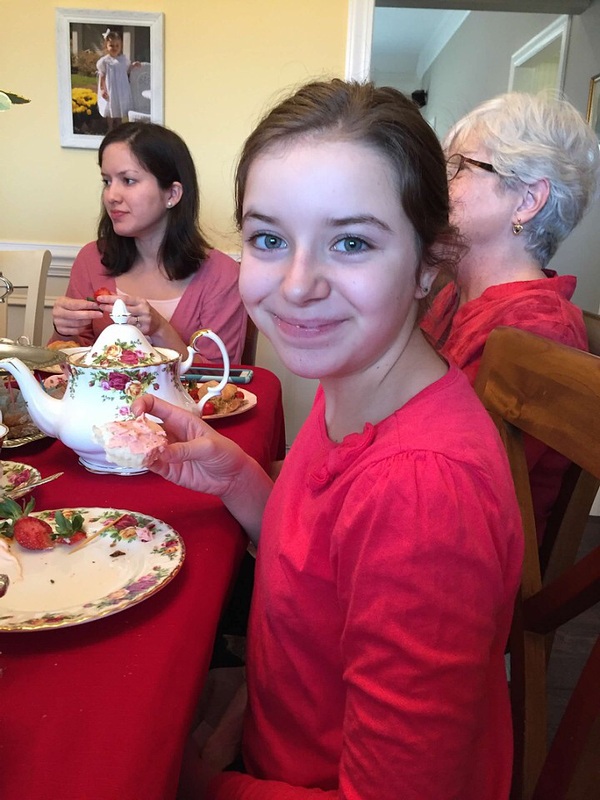 It made everything for this Valentine’s tea party looks so festive.